Ljodahått is a project initiated by the Norwegian actor Magne-Håvard Brekke. He left his country at a very young age to study in East Germany at the Ernst Busch state school of acting in Berlin and worked with Frank Castorf, Christoph Marthaler and Dimiter Gotscheff. Throughout these soon thirty years of wandering Brekke carried within him the values of his childhood, of his culture and of northern nature. So he re-immersed himself in ancient Norwegian poems, thinking them over, reciting them out loud and translating them into different languages. The repertoire includes the ancient and the modern (from Edda to Henrik Ibsen to Knut Hamsun and Tarjei Vesaas...). Brekke has brought together some of the best humans and artists that he met on he’s journey throughout Europe, (from Germany, France, Switzerland, England, Austria and of course Norway); actors, musicians and composers. 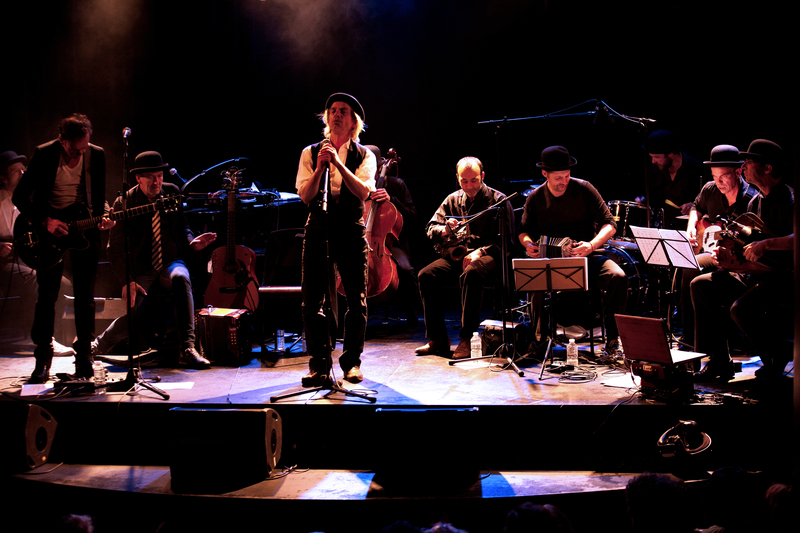 Together they put these poems into music and perform them in Norwegian in a true fusion of genres – even the ancient texts doped with rock and roll sound very modern.